Today's snow again swept across the Central Plains, but dingli braved still the cold in front of the customer installation, the following is . Quan bentonite dryer installation site Equipment installation and commissioning of the project continued hot, and now the main installation has been completed, taking into account the approaching end of the year for their people, to not affect the customer's production schedule, enthusiastic people to work overtime to ensure the smooth progress of the project installation and commissioning work, this bentonite drying equipment Our research and development center by a newly developed new energy processing equipment, high technology, advanced manufacturing technology, researchers from Division I and production department technicians jointly developed and manufactured, after a painstaking scientific research and technological innovation, research and development of new competitive products. 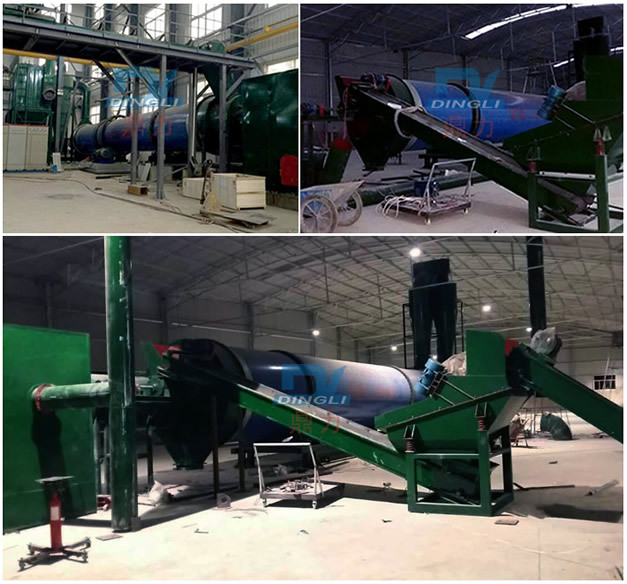 It is one of the new drying equipment Our development of high technological content in the field of new energy.